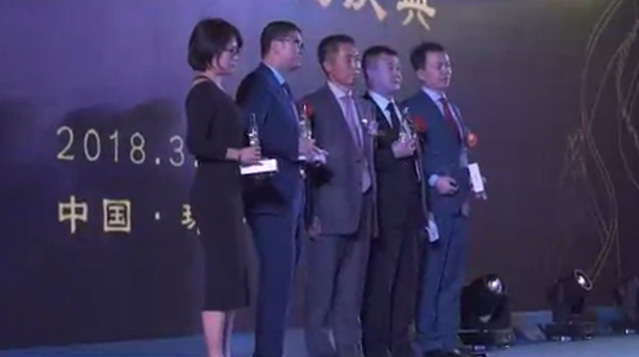 On February 26, 2019, Chang Tsi & Partners, along with administrative leaders with the China National Intellectual Property Administration (hereinafter referred to as "Administration"), industrial experts and representatives from other Chinese IP firms was invited to attend the symposium on opinion solicitation of "Regulations on managing trademark application and registration behaviors" (hereinafter referred to as "Regulations"). The "Regulations" is aimed at cracking down upon malicious trademark squatting and hoarding behaviors, purifying the atmosphere of trademark registration, protecting the legitimate rights and interests of businesses, and maintaining normal trademark application order. Nowadays, with the optimization of the trademark registration procedure, shortening of the registration period, reduction of the registration cost, and decrease of trademark registration resources, free-riding "malicious applications" and profiteering "trademark hoarding" have occurred frequently. Under this circumstances, the Administration attaches great importance to the aforesaid behaviors. By actively conducting researches on trademark legislation to improve trademark laws and regulations, the Administration aims to form a long-term mechanism that curbs the illicit trademark registration in China. On February 12, 2019, the Administration announced Regulations on managing trademark application and registration behaviors (Draft for Comments) on its official website to solicit opinions from the public. The announced "Regulations" consists of eight Articles and covers five points. v.	Clarify the duties of the competent intellectual property authorities at all levels to guide and regulate the registration and use of trademark applications, and mobilize the social public to report and monitor the illicit trademark registration behaviors (refer to Article 7). viii. To provide assistance or agency services to the aforesaid trademark application and registration behaviors as stated in items (1) to (7). Actually, since 2018, the Administration has demonstrated its determination to combat malicious registration in its trademark registration practices. The official data shows, the number of malicious applications that have been actively rejected by the competent authorities or disapproved for registration in the opposition procedure amounts to over 10,000. Over the past decades, Chang Tsi & Partners has made constant great efforts to assist trademark owners to crack down upon malicious trademark registration. So far, Chang Tsi & Partners has achieved favorable results in representing the clients in a number of trademark oppositions and invalidation cases, and has made substantial progress in protecting the right holder's trademark rights. Meanwhile, the Chinese government is actively pushing forward the implementation of the Regulations, which highlights the government's determination and direction to combat malicious registration and protect the legitimate rights and interests of trademark owners. iii. Establish and improve your own trademark right basis by broadening defensive registrations to effectively prevent trademark squatting.